K. Hovnanian Companies retained Najarian Associates to provide engineering services for a residential community redevelopment project in Middletown, New Jersey. K. Hovnanian Companies retained Najarian Associates to provide engineering services for a residential community redevelopment project in Middletown, New Jersey. 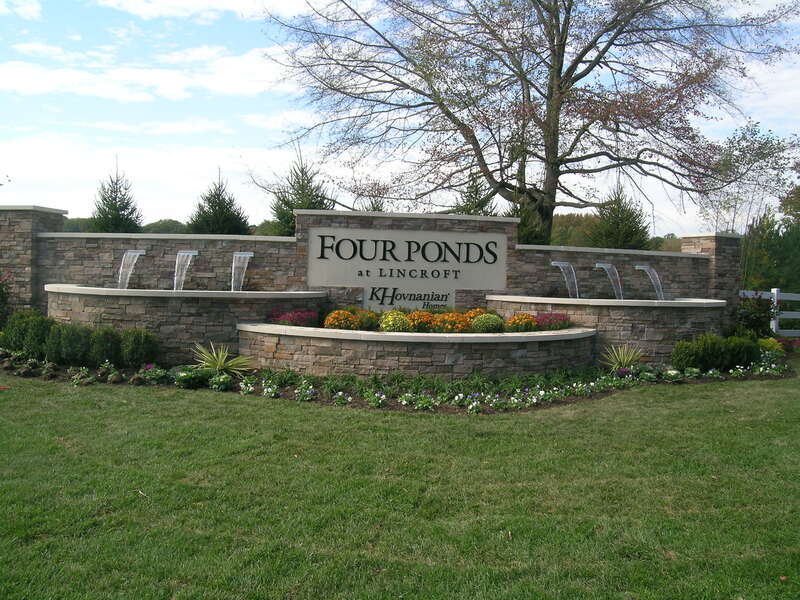 The project site, which consists of an under-utilized office building with parking, is named “Four Ponds” as a result of streams and adjacent wetlands located on the southern and western property lines. The redevelopment of the site involves 228 townhomes, associated recreation amenities, and reconstruction of an existing on-site public walking trail. 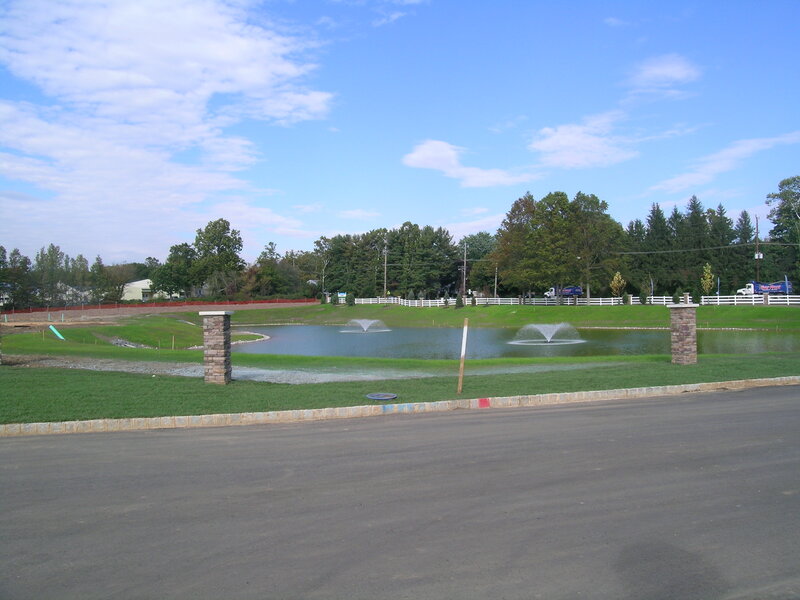 As part of the project, Najarian proposed that two ponds be relocated and enlarged to serve as stormwater management basins in accordance with current NJDEP Stormwater Management Rules. 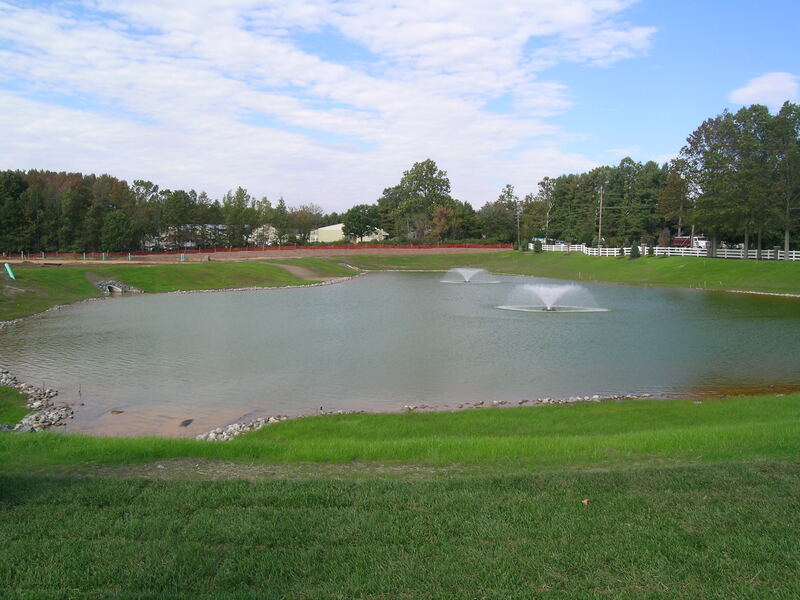 Since the existing ponds were constructed well before current stormwater management rules were in effect, they were not sized to provide appropriate stormwater management. Additional water features, such as man-made ditches, would be incorporated on the site. Najarian conducted a floodplain delineation study for both streams, since they were not studied by NJDEP or FEMA to set either a FEMA floodplain or an NJDEP Flood Hazard line. Because the ponds received primarily overland flow, which was not confined in a channel, Najarian delineated the complex 50-acre floodplain to these ponds. Najarian utilized GIS with downloaded USGS digital elevation data to develop a topographic map for the watershed area. The firm used the GIS to transform the data into contours and delineate the local watershed. Najarian also obtained approvals under the Freshwater Wetland rules, including a GP #17 for trails, a GP#10 for roadway improvements, a GP#11 for stormwater outfalls, and a Transition Area Waiver, Averaging Plan. A Treatment Works Approval from NJDEP and Soil Conservation Service approval from Freehold Soils were also obtained. The economic viability of the project hinged in large part on NJDEP’s interpretation of their Rules. Initially, NJDEP stated that the two existing ponds could be filled under the Wetland GP#6 for isolated wetlands. However, they then agreed that these were decorative ponds that were not regulated features under the wetlands rules, but were regulated under the Flood Hazard Area Rules. 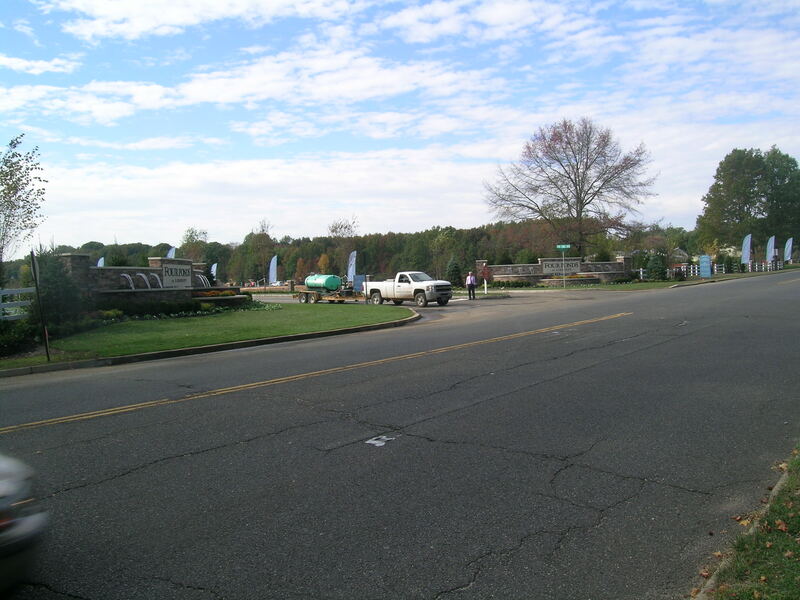 NJDEP also found that the swales within the parking lots were not regulated features and could be filled. Najarian Associates developed the necessary site plans including grading, drainage, stormwater management, utilities, roadways, and other features. 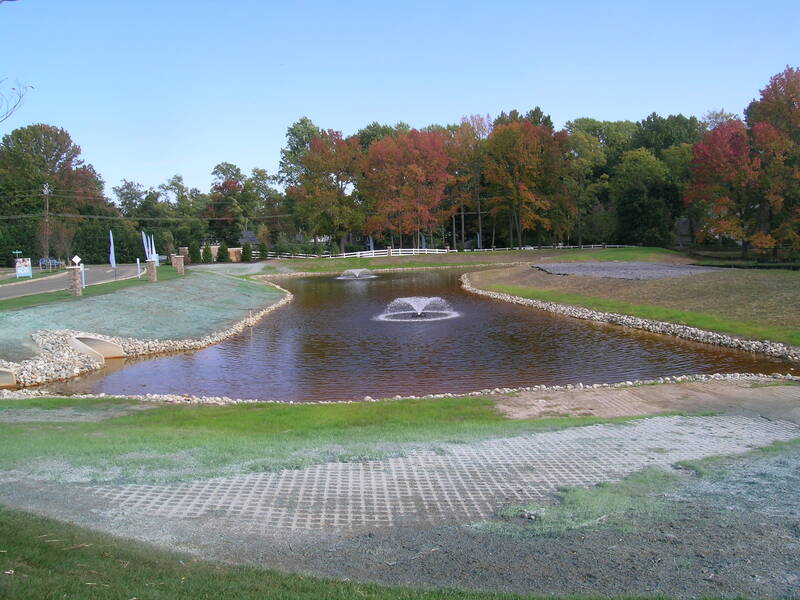 New ponds were required to provide the necessary stormwater management and compensate for the fill of the flood hazard volume. Therefore as part of the project, the existing ponds would be filled, and two new ponds would be constructed closer to the site entrance. Najarian designed the basins to provide this additional volume, but NJDEP was concerned that the actual floodplain area was being filled. 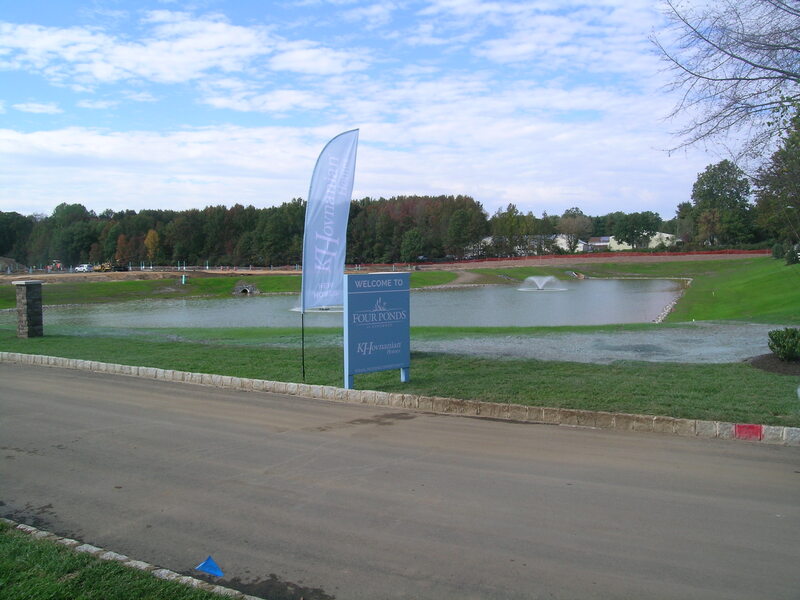 The firm was able to convince NJDEP that since all the stormwater that had previously flowed via overland to these ponds was now captured in the stormwater system, the floodplain was no longer present. Najarian also convinced DEP that their Rules regulate “new impervious” as any increase in the net impervious on the site. Initially, NJDEP stated that even if the project proposed a decrease in the area of roads and parking, any impervious impacts in areas that are currently vegetated would count as “new” and require additional stormwater management. As part of this application, a mitigation planting plan was developed for riparian zone disturbance.